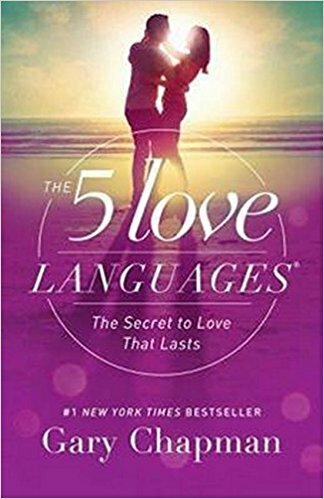 The first was The 5 Love Languages by Gary Chapman. I admit, I am somewhat skeptical about any book that professes to share ‘The Secret to Love that Lasts’, but it came highly recommended, and, at less than 200 pages, it’s a quick read. Well…it’s actually pretty amazing. It completely overthrew most of the ideas I had about how I communicated my love to my wife, and it also helped me better understand what it is that I need to feel loved. In truth, my marriage is a very good place right now, but I think book is going to be a huge help in keeping it there. Strongly recommended for anyone in a committed relationship. I followed this up by reading Cadia Stands by Justin D Hill. 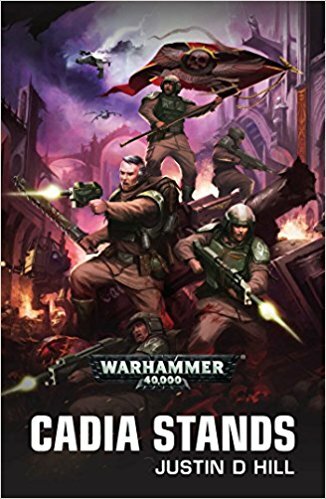 This is the Warhammer 40,000 novel that tells the story of the collapse of the Cadian Gate, that held the forces of Chaos at bay. It is a key turning point in the 40K universe, and leads directly to the current situation. More importantly, is a rollicking, fun novel that jumps from massed tank battles with 10,000 tanks down to individual soldiers holding the line. There is a load of creativity poured into it, and, once it gets going, the action pretty much never relents. Although the novel essentially stands alone (if you know the background of 40K), I am glad to see that Justin D Hill already has another novel coming out featuring one of the survivors. I don't play 40K these days, and Black Library novels can be pretty hit and miss, but this is the best one I have read in while. As an added bonus, I was able to get both of these books through the Kent County Library system. I had to request both books be sent to my local branch, so had to pay £0.80 each, but that’s a pretty good price for two good books! It's a wonderful library system and I'm am grateful to have it. My typical reading diet consists of sci-fi, fantasy, and history, but I also found "The 5 Love Languages" to be a great read. I'd also recommend "For Women Only" and "For Men Only" - they are great books and best read together so you can have moments where you look at your spouse and say "how could you not know that?" On a different topic: Have you read "Old Man's War"? If you have how would you ran it against some of your favored sci-fi novels, series, and authors? Thanks for the suggestions. I will have a look. Fiction-wise, I mainly read sci-fi, with a sprinkling of fantasy, historical adventure, and literature. My non-fiction is all over the place. I read the first 100 pages of the first book in the Old Man's War series, and it didn't hook me. This just be a function of where I was in life at the time as I know it is a very popular military sci-fi series.